Thorprint is a safe, cost-effective and attractive method of surfacing. It is hot-applied and has very fast curing times. The minimal disruption involved in Thorprint application means that it is particularly suitable for situations that require traffic flow to be interrupted as little as possible, such as roundabouts, traffic islands, parking areas and traffic calming or speed tables. Thorprint is extremely durable and hard-wearing and requires zero maintenance. Combined with its safe, anti-skid properties, this makes it ideal for areas with high levels of pedestrian usage, such as playgrounds, pathways and car parks. Thorprint surfacing is designed to be imprinted with a wide choice of patterned moulds and has full-colour depth in a variety of shades. 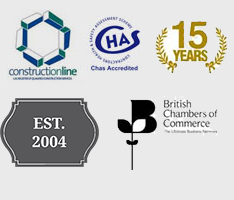 Urban regeneration schemes will benefit from its aesthetically pleasing appearance, which is a safe and easily-applied alternative to cobbles, blocks or setts that allows customisation to suit any surroundings. 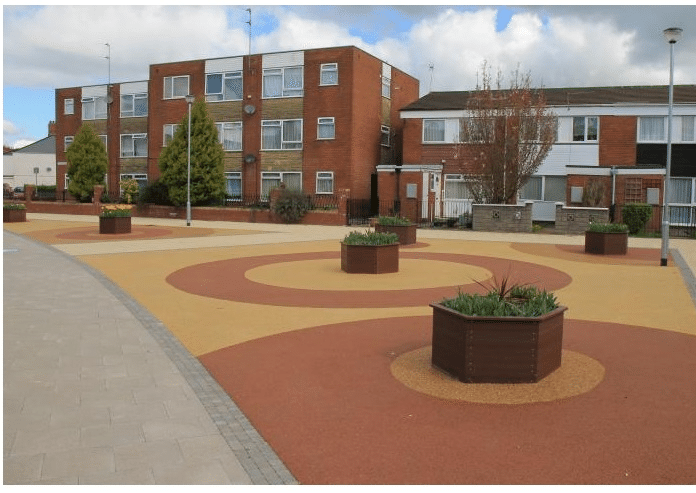 This entry was posted in Property, Urban and tagged driveways, property, resin bonded, resin bonded surfacing, resin bound, resin bound surfacing, surface, surfacing, thorprint, thorprint surfacing, urban. Bookmark the permalink.